Climb up and jump! It’s not every day we come across a hostel with a climbing wall and swimming pool - all that with an absolute dream destination! Gili Castle Hostel welcomes adventurous backpackers to the stunning island of Gili Trawangan, Indonesia. This party come cosy castle is the place to be if you want outdoor (and indoor) adventure, unique design and super social vibes; it is what makes this the 5 Star Hostel in Gili Trawangan, nearby the famous Bali, Indonesia. How to book Gili Castle? Check out the official website of Gili Castle. Why? There you can get the lowest prices! Gili Castle is on Gili Trawangan Island, accessed from either Bali or Lombok. This means super fun choices on how to get there! From Bali take either the fast boat or helicopter – tough choice. From Lombok, take the local boat or slow ferry. 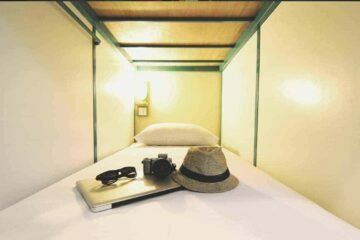 The hostel also offer a pick up/drop off to your hostel in Bali – check out their website for available times and spots. The hostel location is perfect for outdoor enthusiasts. Go scuba diving, snorkeling, trekking – Mount Rinjani is a highlight – kayaking, horse riding, do some yoga; the options it seems are endless. If you are looking for a fabulous hostel in Indonesia by the beach, look no further. Gili Castle is the place to be. 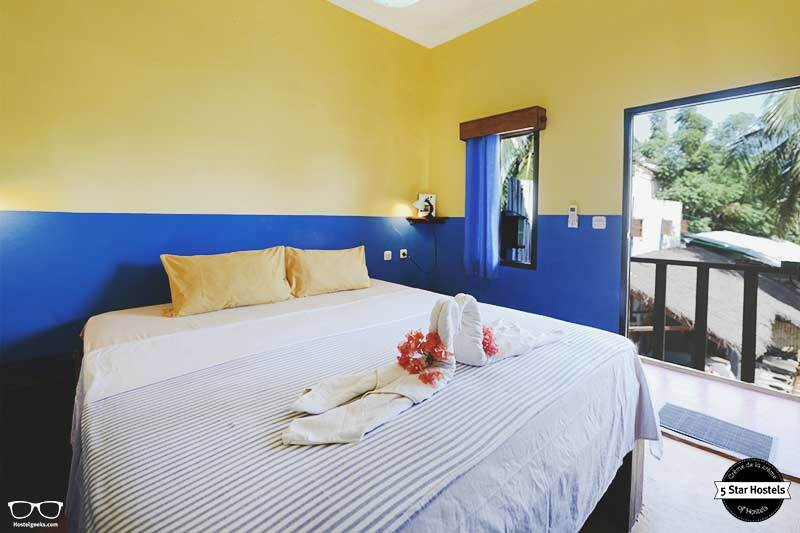 All 5 Star Hostels, including Gili Castle, are awarded by Hostelgeeks, an independent platform designed to deliver the world’s greatest hostels. 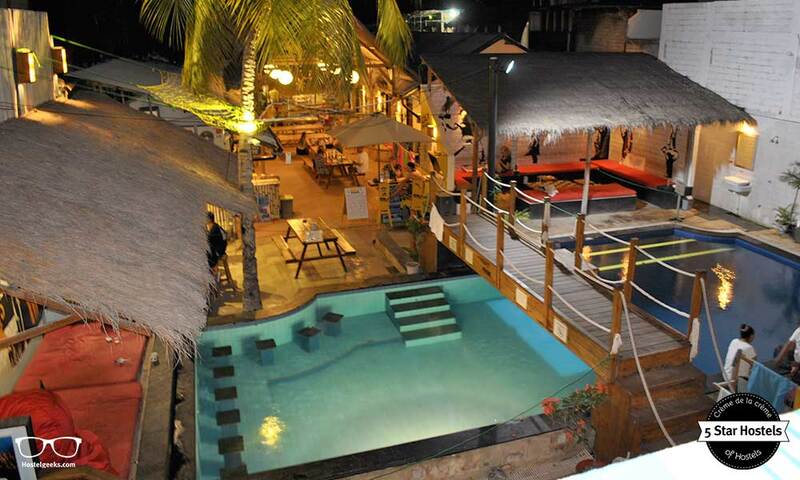 Right next door you will also find one of the coolest party hostels in Gili Trawangan, the Gili Castle. 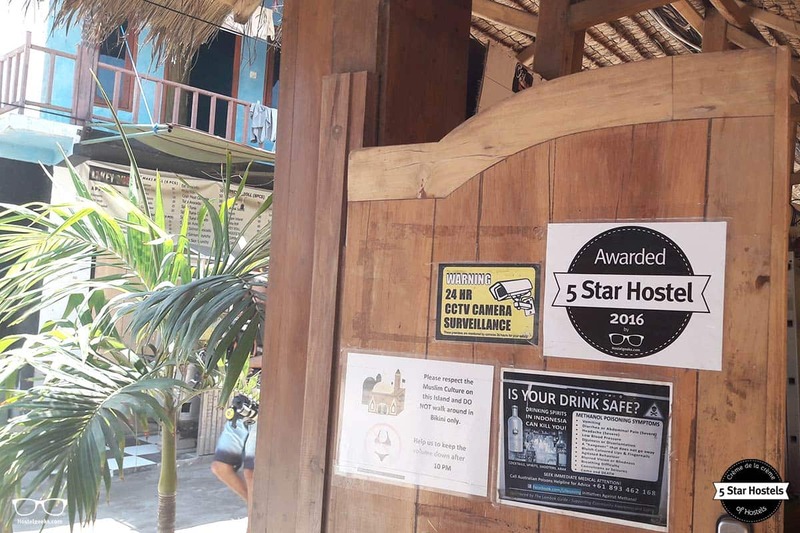 On Gili Air we have reviewed the beautiful Captain Coconut Hostel. Indonesia’s second 5 Star Hostel calls Kuta home. 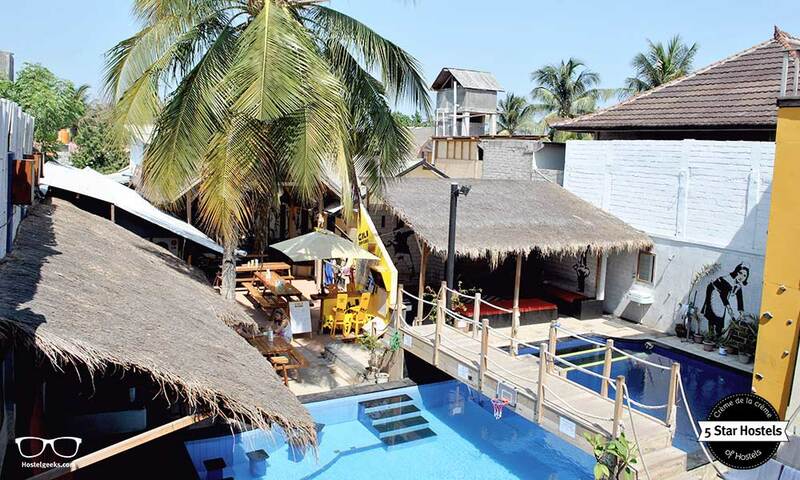 Bread&Jam Hostel in Kuta, Bali, is a boutique-style hostel, perfect to start your Bali trip. Walk with us through Bread and Jam to discover surfboards, design magazines and family-atmosphere. Make sure you also check our big guide to best hostels in Ubud – all hostels compared + the best option for solo-travellers. Heading to Labuan Bajo? Then check out Dragon Dive Komodo Hostel. Here is an overview of the best hostels in Asia. 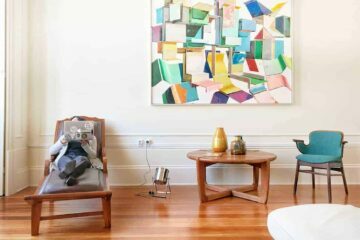 Here you will notice a few things that stand out. 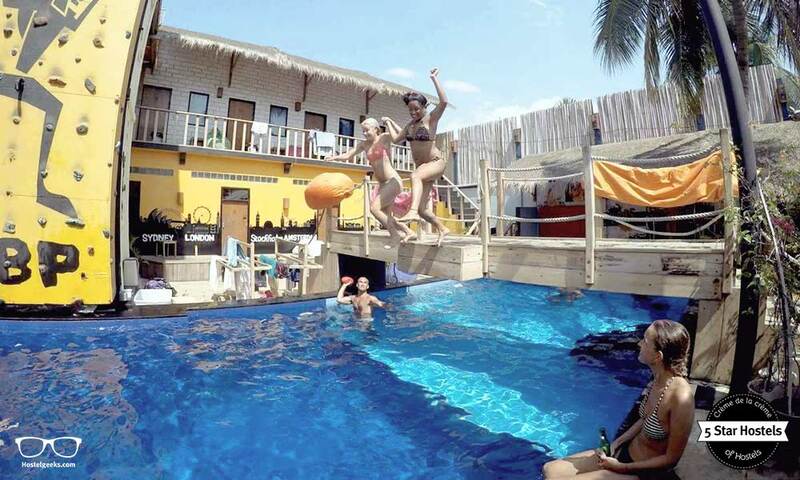 Walk through the hostel and come across a climbing wall and a bridge – both of which you can jump off into the pool! Take some time to relax, and notice the small details which we love about Gili Castle. Mixed together with funny staff and a dive school on your doorstep, is there really any other place you’d rather be? Before we get started, we should at least jump one more time from the tower to the swimming pool, right?! 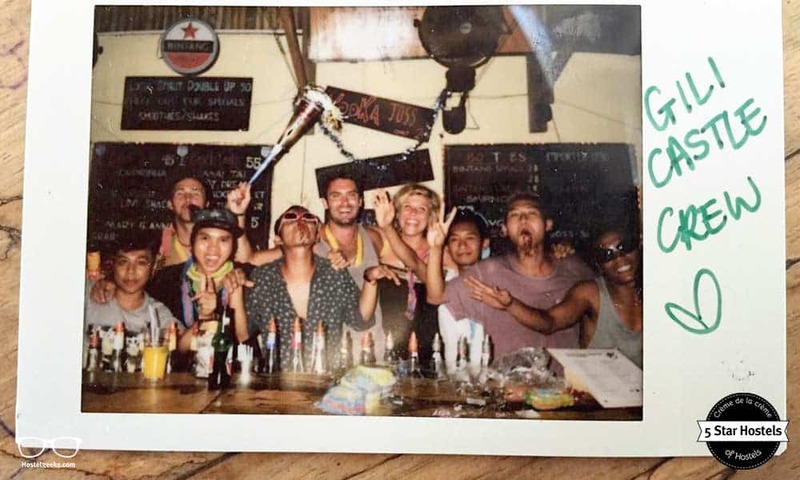 Let’s take a look at WHY we at Hostelgeeks love Gili Castle. When we are talking about a 5 star hostel, sustainability it very important. Gili Castle is located on a small island, just north of Lombok. It is evident that the staff here care about the environment around them. Including the creatures that live in the ocean! There is the popular Gili Eco-Trust, a local non-governmental organization nearby and Gili Castle support them with their beach cleanup. Get involved; help them collect rubbish off the streets and beach – it’s a rewarding experience; no brainer. 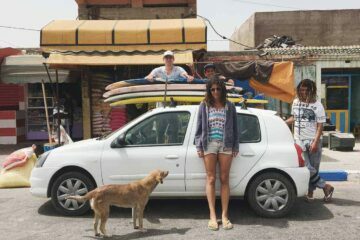 Read: Amayour Surf Hostel in Taghazout also participates in Beach Clean-Ups. Step inside the Castle and find that the Eco-friendliness continues. Recycling is a major deal for the staff and they do as much as humanly possible – recycling plastic and glass bottles in particular. Plastic straws are even banned from the hostel because they are not biodegradable. The water in Gili Castle taps is perfectly safe to drink and there is gallon water available to refill bottles. That’s reducing plastic consumption further! In addition, many backpackers find they are traveling with too many clothes. Gili Castle collects these unwanted garments and passes them on to a small cafe on the island. In turn they donate to poorer families in Lombok. Therefore, make sure you know what to pack and what NOT to pack when staying at hostels. Here you can find our ultimate packing list for hostels. Let’s now talk about the design. And boy, does Gili Castle have a super cool design! 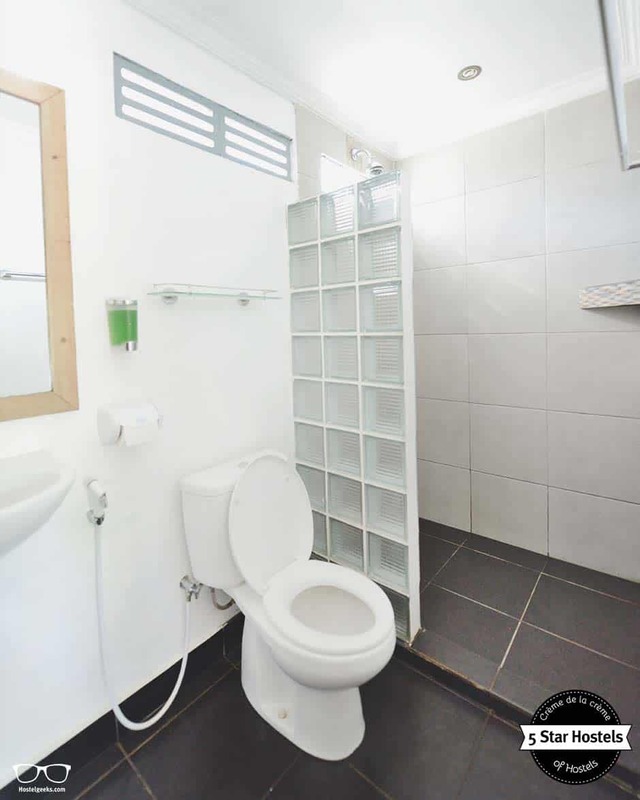 It is completely unique and individual, created by the owner. 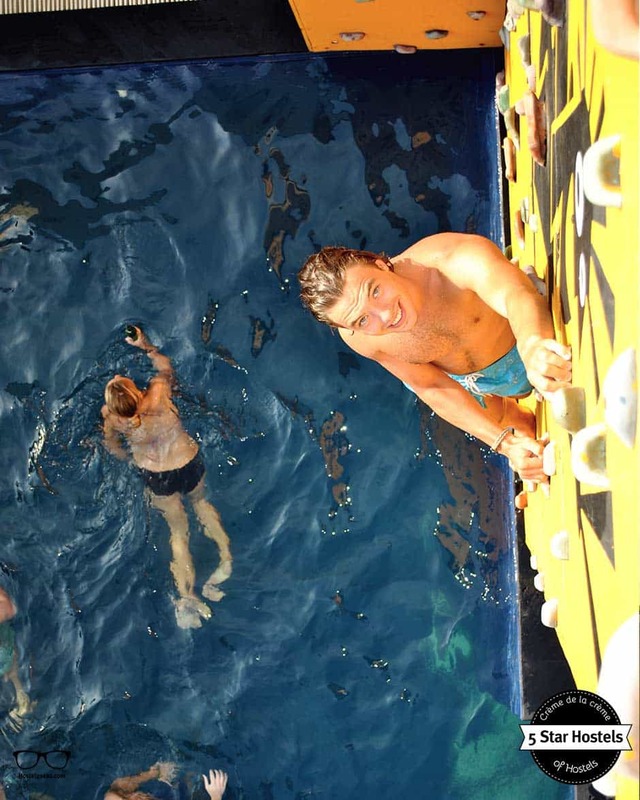 The entirety of Gili Castle is colored black and yellow, same as the Gili Divers on Trawangan – also owned by the same English-Swedish couple. 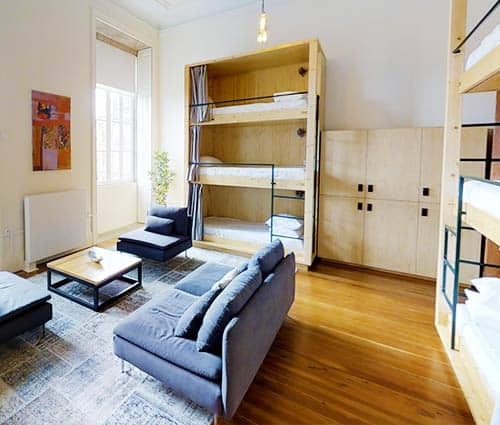 Get +110 design hostels like castles, island-retreats, swimming pools, and former mafia houses. Upon entering you will be ‘WOWed’, no doubt. The reception aka. welcome area is big, open and social. It somewhat reminds us of an old Viking-style house, with a high straw roof, Scandinavian style. Feel the cool air (Seven of the twelve dorm rooms can be found here, too. 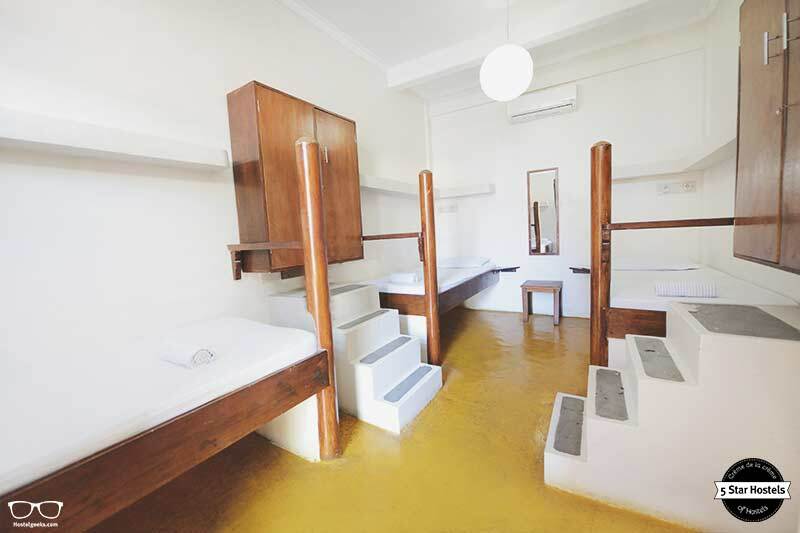 Here is an overview of all different hostel room types. Now let’s move into the second part of Gili Castle. Check out the in-house bar, with its very own 5m palm tree – how exotic! To the left there is a cosy area, with mattresses and Banksy artwork on the wall: a perfect place to have a nap after a crazy night on the town. From here you face their 12m freshwater swimming pool, 6m climbing wall, and a jumping tower into the pool! Cross the bridge (jump off this too, if you like) and head to the tower. This was once a water-supply tank, now offering excellent views across to Gili Meno, the neighboring island. Putting unique design to one side for a minute, there is something else we love. The little added extras always intrigue us here at Hostelgeeks. For example, beans bags in the tower and a wall decorated in capital cities – the common hometown’s of guests. either had we, until we met Gili Castle. It certainly supports the unique transparent criteria. Alongside this there is a very cool Banksy chill-out area just across the bridge. Yes that’s right, a bridge! Gili Castle also work closely with Patrick the Palm-tree, supplying fresh coconuts to the hostel to be enjoyed by the pool. BTW, how safe are hostels? We wrote up a full overview. It’s important to mention that Gili Castle isn’t just a hostel, but a 5 Star Hostel come dive school. The staff here are SSI and PADI certified, and multilingual. If you’ve always wanted to dive the ocean depths, this is the place to learn! If you’re lucky, you might even be able to join a free try-dive in the pool. Oh and let’s not forget about the cats that need a lot of cuddles. 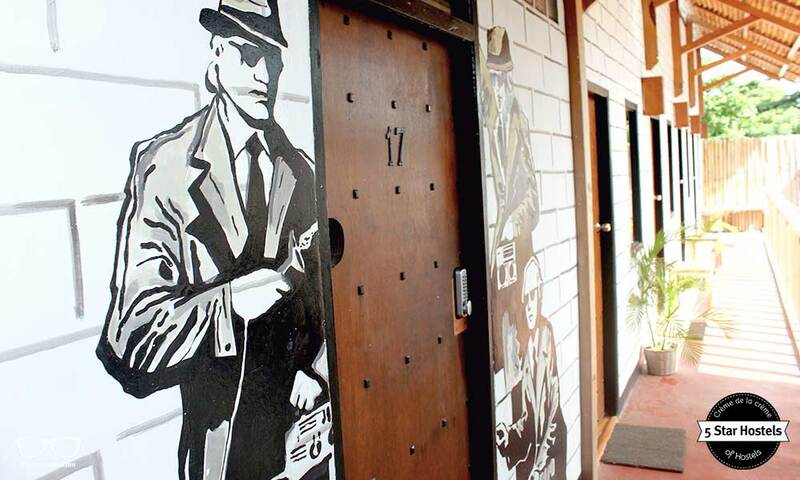 This is one seriously social hostel. heck out the pictures by the pool. Gili Castle is the place where the party happens! And by the way, there are 7 different types of hostels. We love to chat up our guests, create atmosphere to take them to the best parties and make great friends. In fact the staff are there to join in and create the vibe all day long. In the daytime enjoy chill-out time on the picnic benches, by the pool and in the beanbag area. Watch the sunset in the tower, before jumping off into the pool (are you brave enough?). 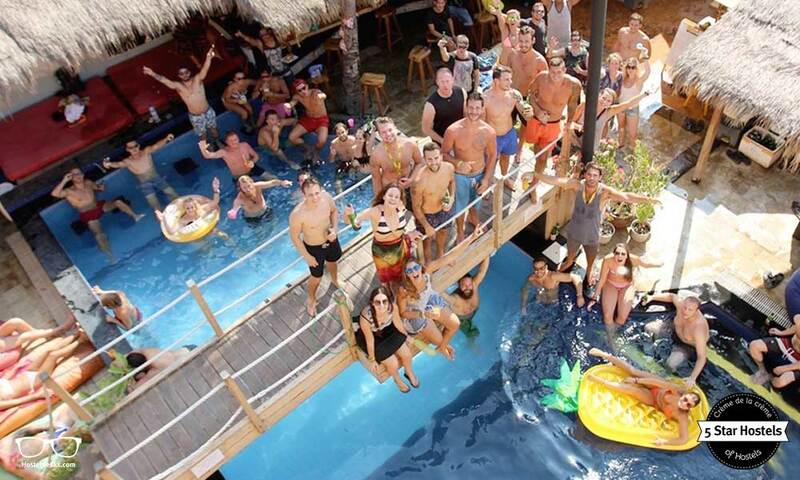 By night, join one of the organized beer pong tournaments or pool parties on offer. They do their best to create that home-away-from-home feeling, having a promoter around at all times. In total, there are 15 staff members at Gili Castle, all from Lombok. Ricky is from Brighton, England. When he has finished telling you funny stories and isn’t busy creating a vibrant atmosphere, you can find him in the kitchen. He makes the best bangers and mash on the island! 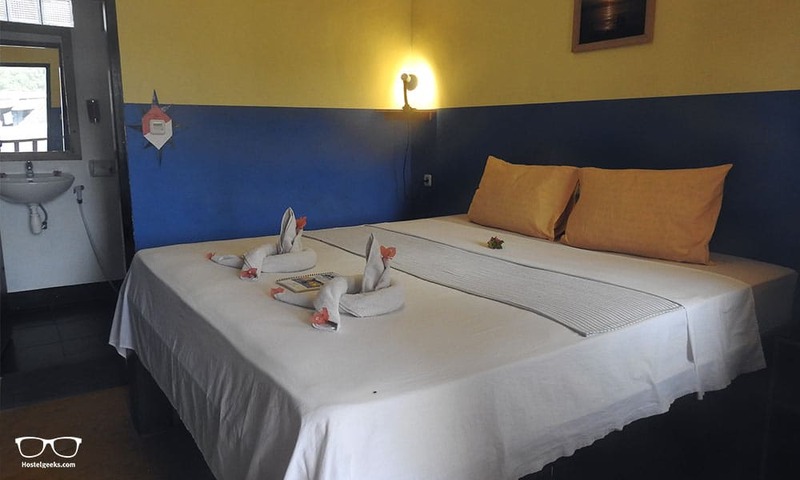 The staff is one of the criteria being a 5 Star-rated hostel. Bella is originally from Germany and studied hospitality for three years. If she isn’t helping to manage the staff, or looking at reservations, she will take you under her wing and teach you a thing or two about Fly High Yoga. It’s true that the staff take their motto “come as a stranger, leave as a friend” very seriously. Bella, Ricky, the rest of the crew, can’t thank you enough! Had an amazing time and the hostel has a perfect atmosphere throughout all times of the day. 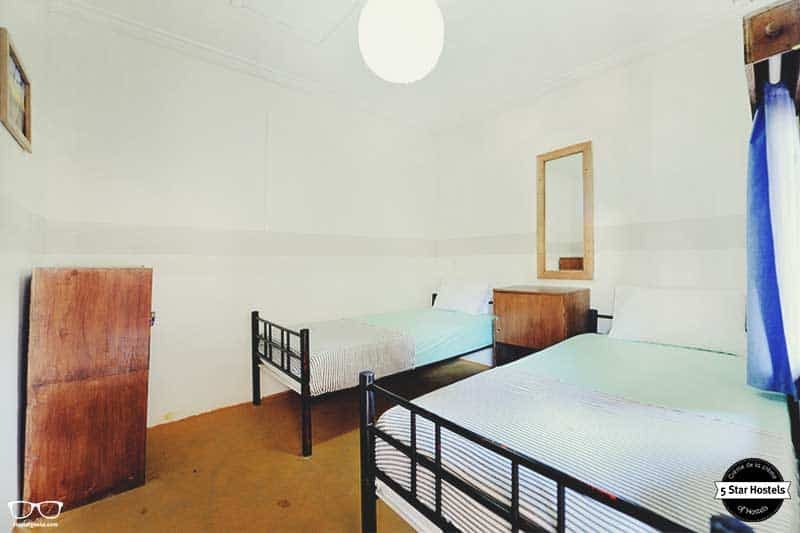 Rooms are great as only 3 beds means plenty of space for everyone. Great food throughout the day and awesome staff behind the bar. Below we show you the official website of the 5 Star Hostel. There you can score the lowest price when booking. 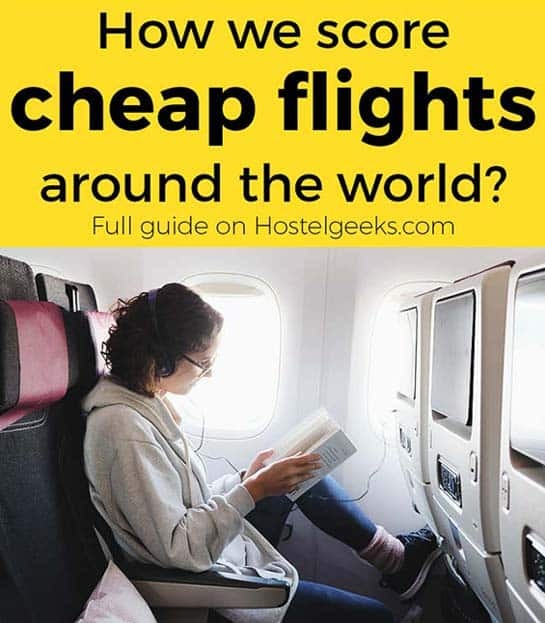 Because we at Hostelgeeks do not offer any booking service. We are your independent gateway to the worlds greatest Hostels. Here you can find the most amazing hostels in the world. Fancy a promo code for Gili Castle? Who doesn't?! Now, there is no easy way to say this: Currently we do not have a valid discount for Gili Castle. 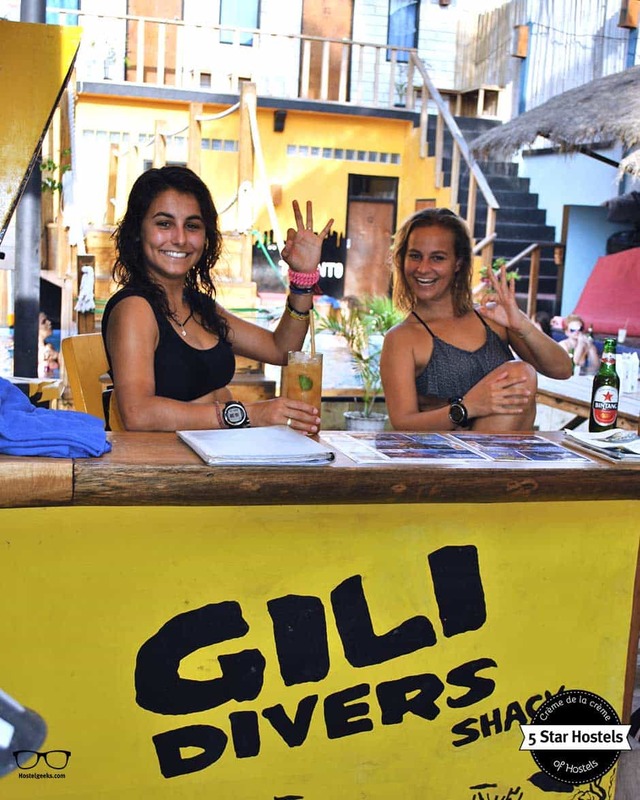 We are working on getting more promotional codes for Gili Castle in Gili Trawangan, Indonesia and all the other top hostels we reviewed for you. Check out the official website of Gili Castle. Do you have any pics of the private rooms? Their website doesnt seem to have any, and they are not prepared to send any, which makes me somewhat suspicious.